Laminate flooring: hand scraped laminate is a new trend in modern flooring that combines the comfort and practicality of engineered flooring with the beauty and appeal of old, worn rustic hardwood flooring. Homeowners are paying a lot of money for hand-scraped hardwood floors but laminate (hand scraped) flooring costs much less and gives you roughly the same result. 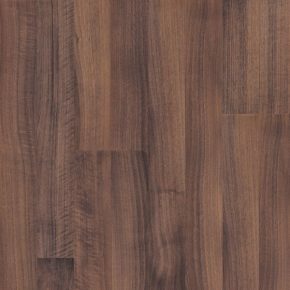 What is hand scraped laminate flooring? If you’re wondering what is hand scraped laminate flooring, the simples answer would be that it is a copy of hand scraped hardwood flooring. New hardwood boards are scraped by hand to achieve a rustic, worn appearance (while maintaining the qualities of new wood), but this delicate procedure is quite expensive. Laminate hand scraped flooring is a less expensive version of that, since laminate flooring (hand scraped or not) is cheaper than hardwood floors and can be printed with any pattern, which doesn’t drastically influence the end price. This means that you can get laminate flooring hand scraped for almost the same price of regular laminate. Besides that, laminate has other benefits that make it a popular choice for modern homes. What are the hand scraped laminate flooring advantages? Compared to hand scraped solid hardwood floors, hand scraped laminate flooring advantages are quite obvious. Laminate hand scraped flooring is more affordable, easier to install, more durable and impact resistant, doesn’t require any sanding and varnishing and lasts a long time. Laminate hand scraped flooring is also more appropriate for underfloor heating that hand scraped hardwood floors. In general, laminate flooring (hand scraped or not) offers more comfort at a lower price. 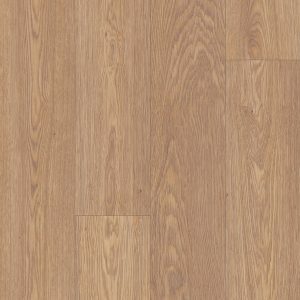 What kind of laminate hand scraped flooring should I choose? There are many styles of laminate flooring. Hand scraped laminate is no exception. You can choose between a variety of colors and wood types, as well as different widths – from narrow to wide plank hand scraped laminate flooring. While wide plank hand scraped laminate flooring is more robust, narrow laminate has a more elegant look. Depending on your needs and purposes, Floor Experts will help you find the right laminate flooring – hand scraped, modern, tile or any other type. We represent some of the best laminate flooring brands in the world, so you will surely find the perfect match for your home among our wide range of high quality products.